IF YOU WERE A TEENAGER IN 1960s CHATTANOOGA, CHANCES ARE YOU LISTENED TO TOMMY JETT ON THE RADIO. 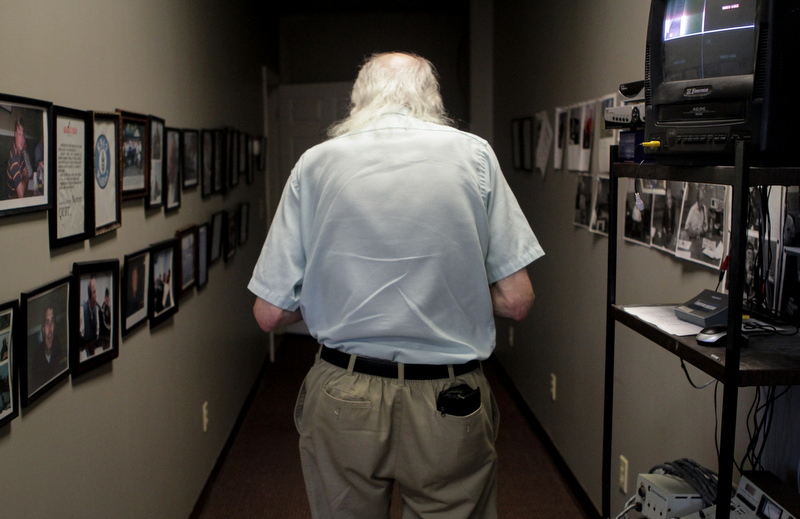 AT 74, HE STILL LIVES FOR SHOWTIME. BUT HE'S GOING THE WAY OF THE DISCS HE USED TO SPIN. 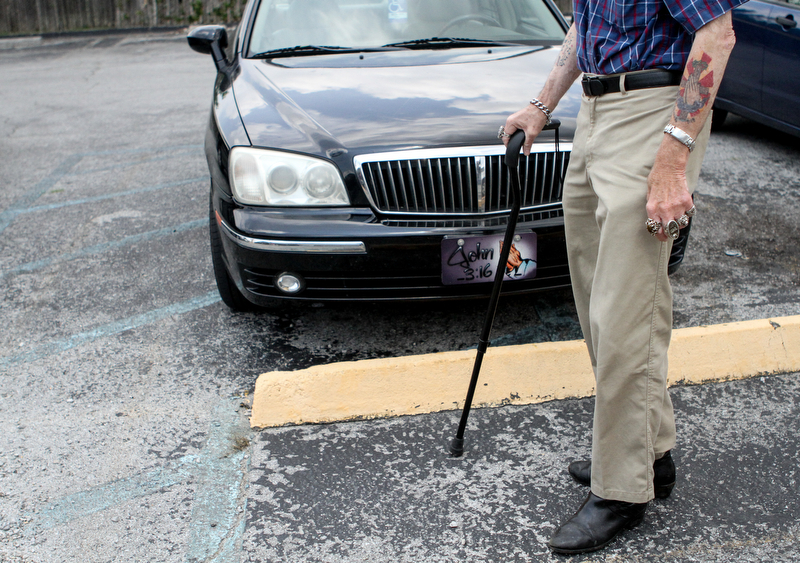 Under the Dixie Freeze overhang, away from the fathers inspecting classic cars and the mothers tapping their feet to oldies music and the teenagers flirting in the parking lot, a thin old man leaned on a cane, alone. 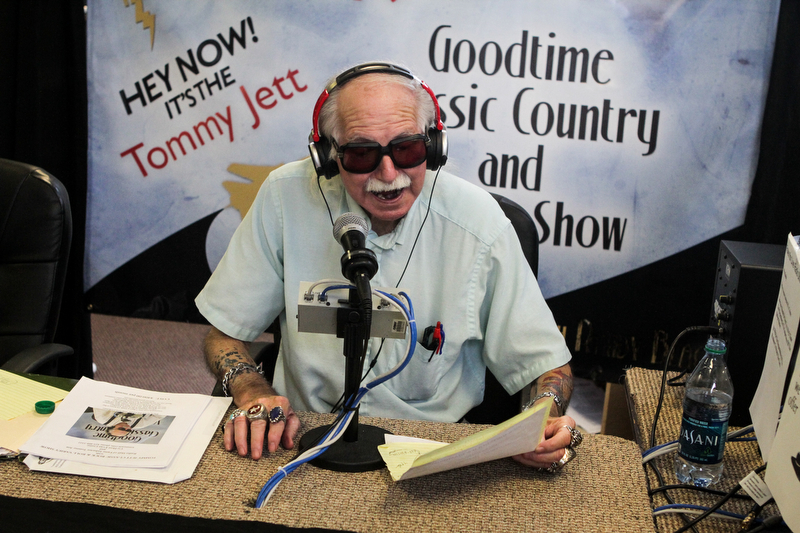 Tommy Jett, 74, a member of the Tennessee Radio Hall of Fame, used to be at the center of the National Cornbread Festival’s car show. But this spring, after hosting the event for 10 years, Jett watched a younger DJ hold the mic. He came to the show anyway. He didn’t want to disappoint his fans. 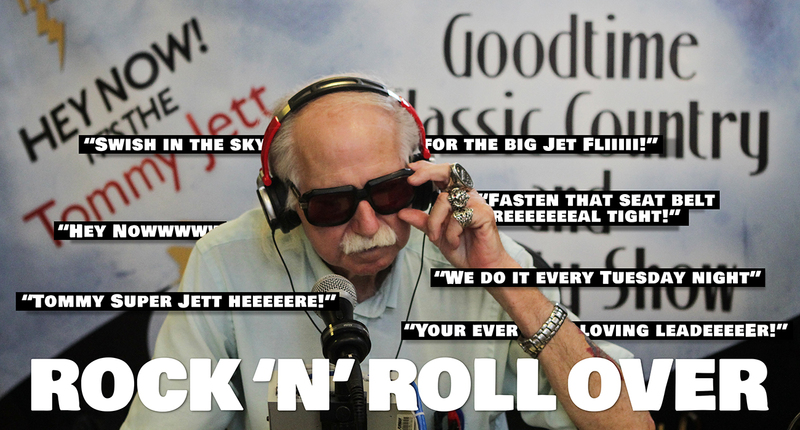 In the 1960s and 1970s, Jett was an afternoon drive-time legend on Chattanooga’s WFLI radio. Don’t call him a DJ, though. He was a “personality,” the voice of a generation, the guide to music and beyond, a pipeline to the stars, a walking espresso shot who brought the airwaves to life with crude humor and fast talk. He appeared at concerts, birthdays and bar mitzvahs for pay. 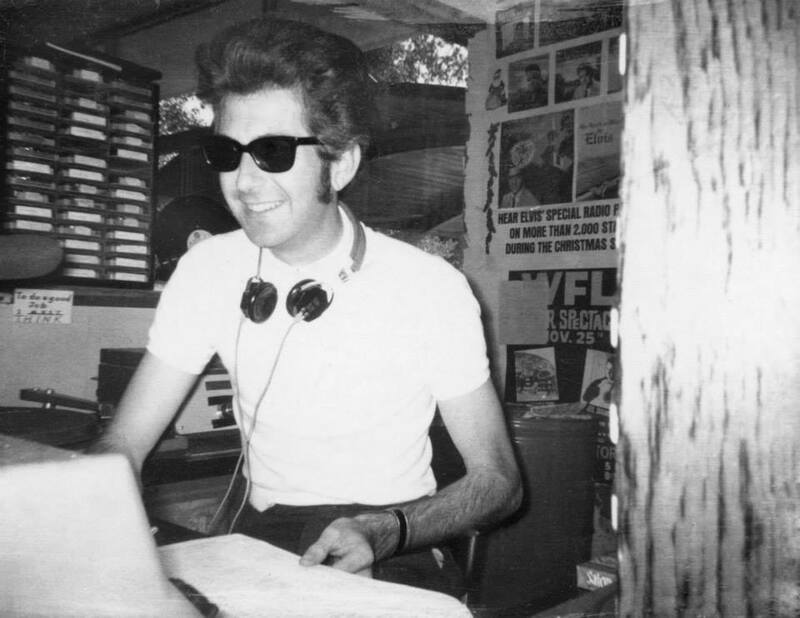 In the heyday of AM radio in the middle decades of the 20th century, every city had a Tommy Jett. Now, in failing health, Jett stands on the outskirts of fame. Last month, outside the Dixie Freeze, some old friends stopped by to catch up with Jett. But for most of the evening, people walked past him as songs like Chuck Berry’s “Roll Over Beethoven” blasted through the speakers. Jett nodded, shook the man’s hand and prodded him with questions: What’s your name? Where are you from? Did your family listen to the show? Later, Jett searched the parking lot. He recalled another fan asking him to sign a car window, but he couldn’t remember what the vehicle looked like. He walked toward a group of men standing next to a black hot rod. A man leaned in to hear Jett over the oldies music. “Did I autograph this car for you?” he asked. For a beat, the men just stared. They considered Jett’s rings, his shades. Stooped and shuffling, Jett left the show. A gold record and photos from Jett's induction into the Tennessee Radio Hall of Fame hang above the stairs and next to the entrance of his home in Flintstone, Ga. In 1961, the year of the Freedom Riders and the Bay of Pigs and the debut of the Beach Boys, Tommy Jett hopped on the air for the first time. His high-pitched voice introduced rock ‘n’ roll to Chattanooga teenagers. Over the years, girls asked him to give a shout out to their boyfriends, knowing they were listening. Men who shipped off to Vietnam heard his voice on quiet nights in the jungle and thought of home. High schoolers hid under the covers with transistor radios turned down low, afraid their parents might hear. Jett’s show, “Night Train,” brought people together. They talked about him and the music he played in school cafeterias, offices and drive-ins. But with time, the prominence of shows like his has eroded. Today there are 67 stations in the Chattanooga area competing with Internet and satellite radio. There are no local radio personalities, no guides. Many stations rely on pre-set playlists. They don’t hire Tommy Jetts anymore. Jett prepares for his weekly show on WAAK 94.7 FM with co-host Evan Cruise in Ringgold, Ga.
Technology has created options, and options — while good in many ways — chip away at shared experiences. “This city is full of radio stations. Most of them are duds. They don’t have anybody with talent. … I don’t call that radio. Computers have ruined radio. Why would you listen to a radio when you have accessibility to any song in a manner of seconds? … There ain’t going to be anybody left. The kind of show we do should last until infinity. 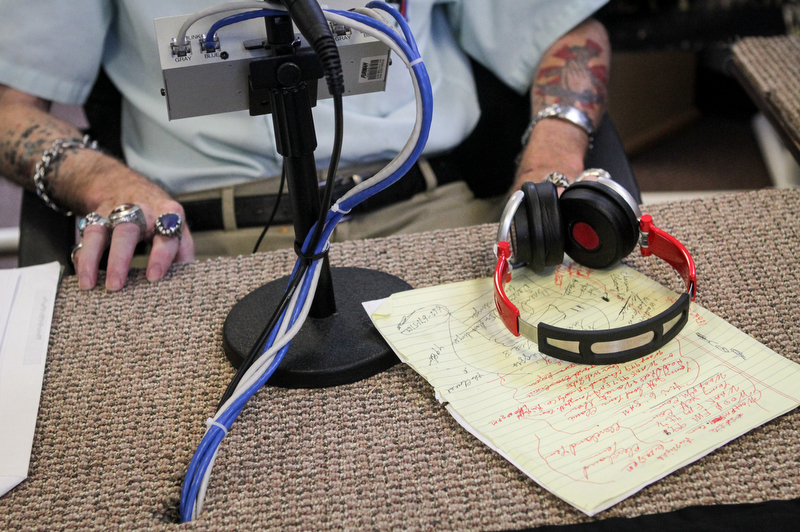 Jett keeps notes on the advertising plugs he's set to give on his radio show but often improvises, too. Tommy Jett was born in 1940 in Old Hickory, Tenn., as Tommy Reynolds, the youngest of six children. He was surrounded by music. His mother taught piano and his brother sang. He loved music, loved how a couple of instruments and a man’s voice could change how he felt, how he thought. Really, though, more than the actual sounds, he loved the feeling of being an entertainer. He wanted everyone to look at him, to notice him, to care what he had to say. He idolized famous broadcasters like Wolfman Jack, who created on-air identities and cultivated their own celebrity. He loved the Wolfman’s scratchy voice, how he howled on the air and instructed his listeners to get naked. The name stuck. So did he. Jett became popular for his midnight show. He drank beer on the air, talked to listeners on the phone and joked about his sexual escapades. 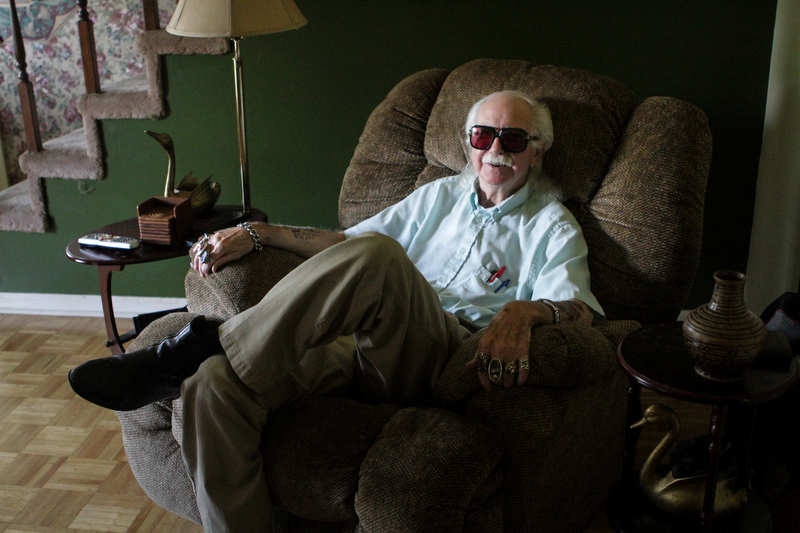 “I don’t know anybody who didn’t listen to him back in the ’60s,” said his wife, Charlene. She and Jett went on their first date about 35 years ago, back when everyone in the room fixed their eyes on him. He was tall and slender with long, black hair. He took her to a lounge that night, but they barely talked. Fans swarmed Jett and asked for stories. Hey now, Tommy Jett. What was Fats Domino like? And what about Little Richard, Tommy Jett? What’s he like? And James Brown? What about him, TJ? Tommy and Charlene never made it to dinner that night. To hear her tell it, after 33 years of marriage, she’s still trying to make it to that dinner with him, one on one, without any distraction from outsiders. Jett wishes he had given his family more attention back then. But he needed to cultivate fans, he said. For an entertainer, relevancy is oxygen. And Jett can’t stand the thought of suffocating. 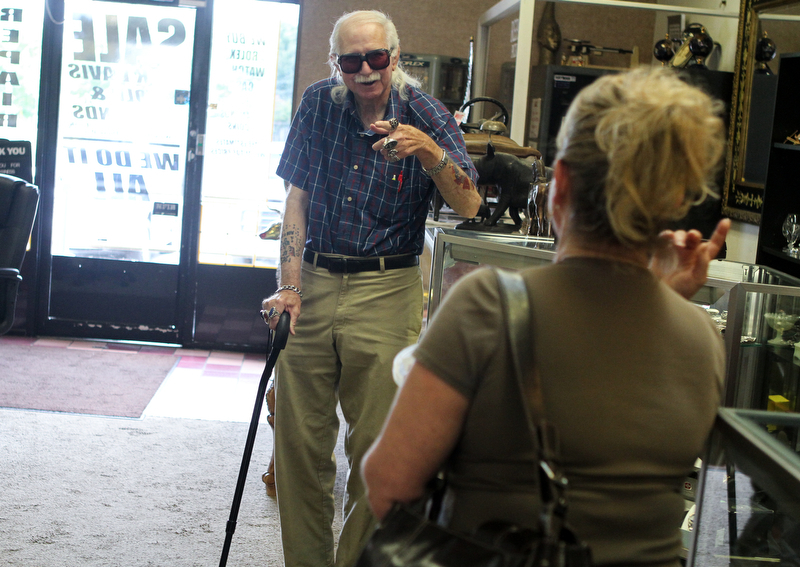 Jett talks to a woman who recognizes him while he waits to talk to Rick Davis of Rick Davis Gold & Diamonds in Chattanooga. Jett enjoys talking to fans and makes time for everyone who stops him to talk. It’s 5 p.m. on Tuesday, an hour until showtime. Elbows wobbling, knees wobbling, Jett lifts his frail, pale frame off the couch. He grabs his cane. Some hairs combed over his bald scalp, pens in his chest pocket, he’s ready to go. But before he goes, before he gets, before he splits, Jett shuffles into his kitchen. “I can’t find my glasses,” he hollers to Charlene. The sunglasses are mandatory. 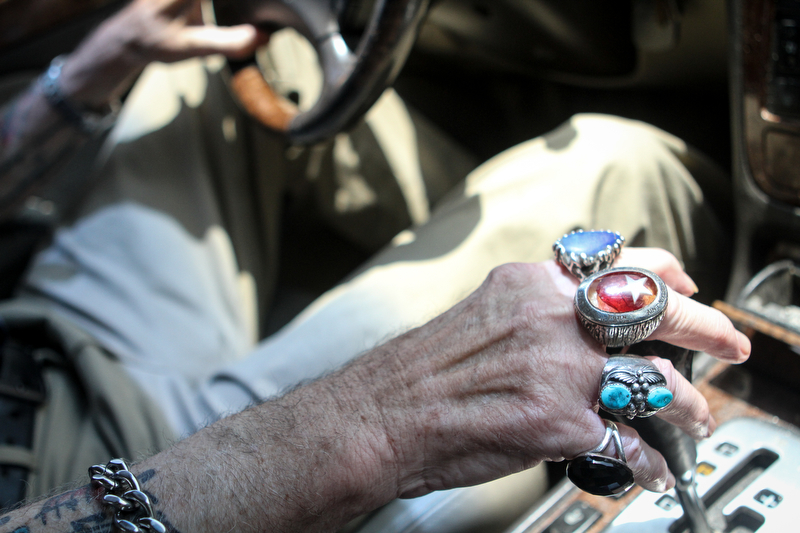 He doesn’t remember exactly when that started, but they became part of his signature look in the ’60s, and he almost never goes outside without them or his eight rings. They make him feel like a star, like his hero, Elvis. His show on WAAK FM in Ringgold and WOOP FM in Cleveland is also livestreamed with a webcam on his website, tommyjett.com. What if viewers see him without the sunglasses? What if viewers don’t like what they see? Jett starts the short trek between his home and WAAK 94.7 FM for his weekly radio show. 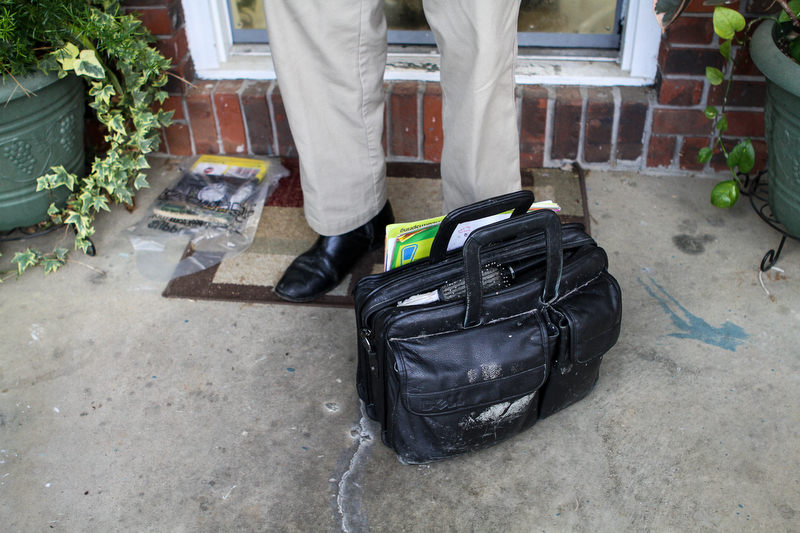 Jett brings his bag, stuffed with personal and professional belongings, with him just about everywhere. Though Jett doesn’t draw a big audience anymore, people of a certain age still remember his shows. 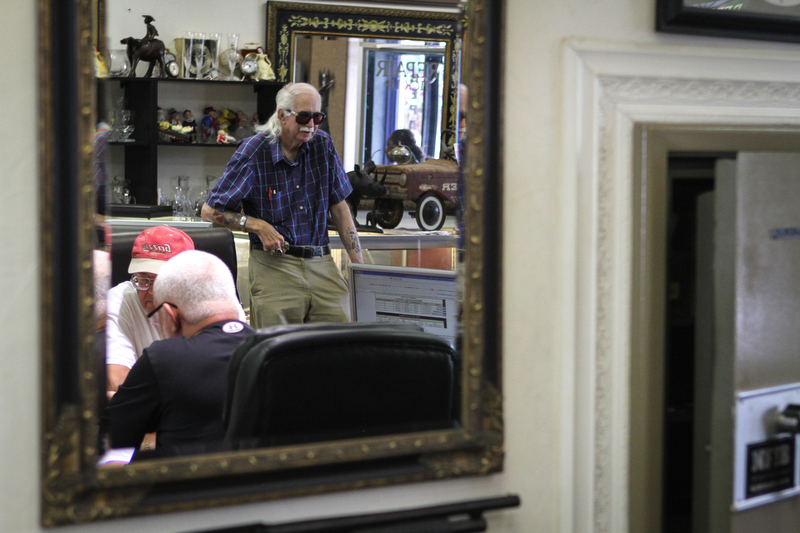 Rick Davis, a local jeweler who used to listen to him as a teenager, remains a loyal advertiser. Others approach Jett on the street. They yell his catch phrase, “Hey now!” Or they tell him about a concert they watched him host when they were in high school. Or they tell him about listening to “Night Train” while on a date. And almost every time, Charlene said, Jett will smile, say thanks, and start talking, and talking, and talking, to the point where the fans are the ones being polite, just waiting for the famous DJ to stop. Jett stands waiting to talk to Rick Davis of Rick Davis Gold & Diamonds in Chattanooga. Davis advertises on Jett's show and Jett picks up the money at the store every week. 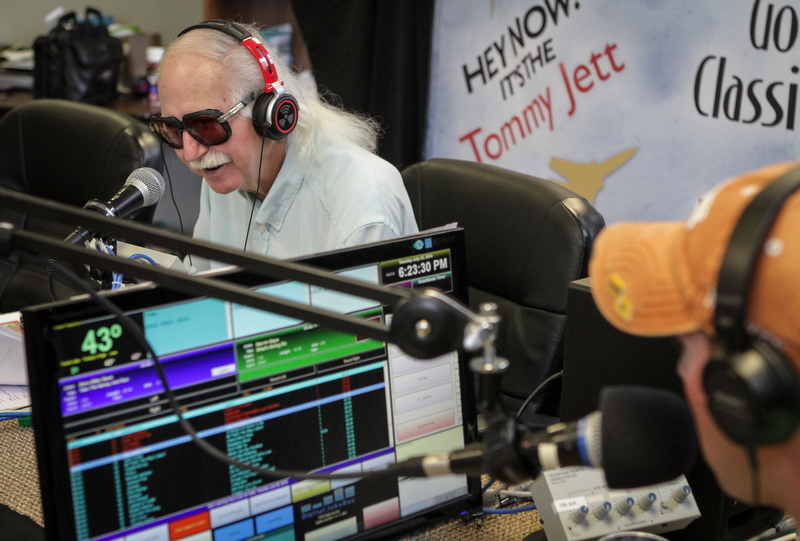 Jett left “Night Train” when WFLI started losing its audience to the new FM stations. Over the next 30 years, he worked at five more stations before getting fired from 98.1 WLND in 2009. Soon after, Jett joined WAAK FM and launched his website. The owner of WOOP FM later asked to broadcast Jett’s show, too. 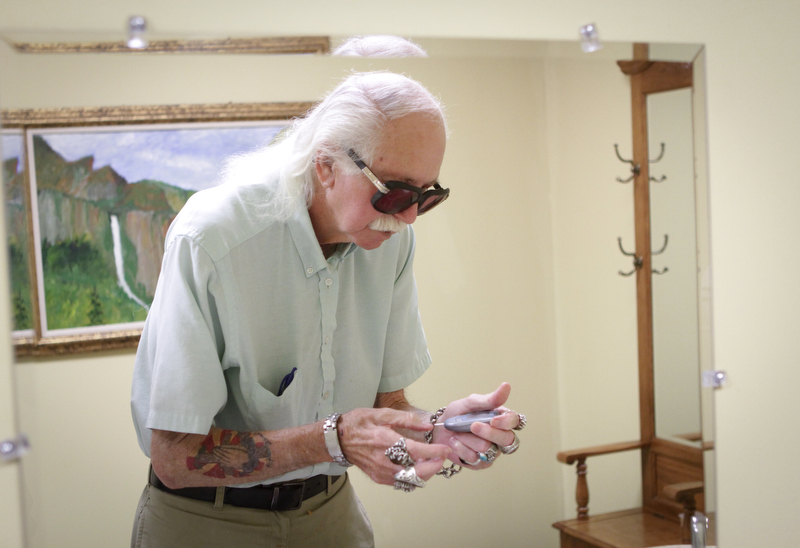 Somewhere on the road between his home and the WAAK FM station one night, Jett studied his hands. They’re all knuckles, skinny bones and silk skin now. The rings he’s worn through the years don’t quite fit. Jett points to another ring. His body has changed a lot since his car crash two years ago. Jett tests his blood sugar in the bathroom at WAAK 94.7 FM in Ringgold, Ga. 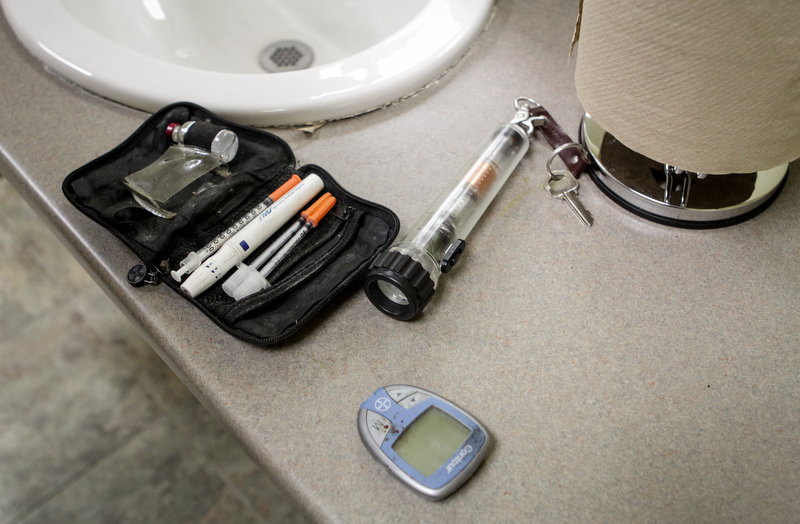 Among a host of other health problems, Jett is a diabetic and struggles to keep his blood pressure in a normal range. While driving, he had a stroke and lost control of the car. The impact fractured two bones in his neck and one bone in his back, and the broken vertebrae pushed a disk in his neck out of place. During surgery to repair the damage, a doctor accidentally pinched Jett’s esophagus tight, he said. Jett didn’t know what was wrong, but he couldn’t eat or drink. His throat was like a clogged straw, and he had to spit his food back up during every meal. Eventually, doctors fixed the problem, but his body wasn’t used to nutrients anymore. Soon after this second surgery, his kidneys failed and he slipped into a coma. “Everything in him shut down,” Charlene said. A doctor told her that if Jett didn’t improve soon they were going to take him off life support. Hundreds of people flooded the waiting room at Memorial Hospital. Friends came from Tennessee, Texas and Florida. Others called the hospital for daily updates, overloading the switchboard. Charlene’s sister went to their house and hid all of Jett’s possessions so Charlene wouldn’t see them when she came home. Her son picked out a pinstriped suit Jett could wear in his casket. Old friends from the radio station brought a CD player into Jett’s hospital room and set it down next to his head. They played old “Night Train” episodes so that, in his last moments, the sounds of Jett on the air would fill his room. Jett's front license plate, and his tattoo, are symbols of his devout Christianity. Jett calls it divine intervention. God wants him on this Earth. Jett thinks maybe he’s here to share his story, to tell people that miracles are real. But when he’s honest — when he’s alone, away from radio microphones — Jett struggles to understand why he survived. He doesn’t like what the crash did to him. He’s not as sharp as he once was. He forgets where he put stuff. He forgets his friends’ names. He tells the same stories every week on the air. He lost 55 pounds after the crash, and he can’t seem to gain it back. He can’t taste food. He walks slowly. He doesn’t hear well. Each week, at the end of his show, he feels exhausted. And his voice? The voice he trained for years, the voice that could go so fast and so high and made him famous? That voice is never coming back. His lungs are weak. When Jett goes on the air, his co-host pumps the volume on his mic up so listeners can hear him. Jett turns to walk out of the WAAK 94.7 FM office. One minute until showtime. Jett sits in front of his mic, his head bowed. His right leg is bouncing. He feels anxious. He always feels anxious. Every word Jett says will travel for miles, and people expect him to be great, to be entertaining. And if they don’t expect that from him, he sure does. For most people, image isn’t a concern in old age. The sagging skin, the creaky bones, the lost memories. It’s all just accepted, a normal part of life. Not for Jett. When a friend noticed that Jett seemed depressed, he offered to write a biography, which Jett believes will come out in the next few months. The book gave him a sense of purpose. On Tuesdays, Jett can’t wait for that night’s show. And then, once the show has wrapped, he can’t wait for the next Tuesday. Jett gets ready to go on the air at WAAK 94.7 FM in Ringgold, Ga. In many ways, radio is what still keeps him going. So if he can just make it to the start of the show, if he can just squeeze those first few sentences out of his mouth, he’ll relax. And when he gets to that point, it’s all good. Better than good, even. Once he gets rolling, rhyming and joking and telling old stories, the world drifts away. 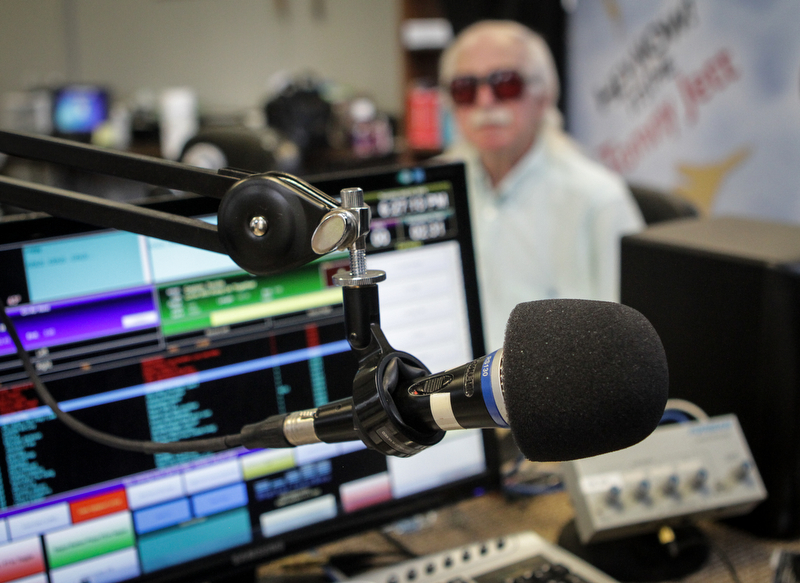 Tommy Jett opens his weekly show on WAAK 94.7 FM every week with his signature "HEY NOW!". Editor's note: The writer of this story and the subject are not related.